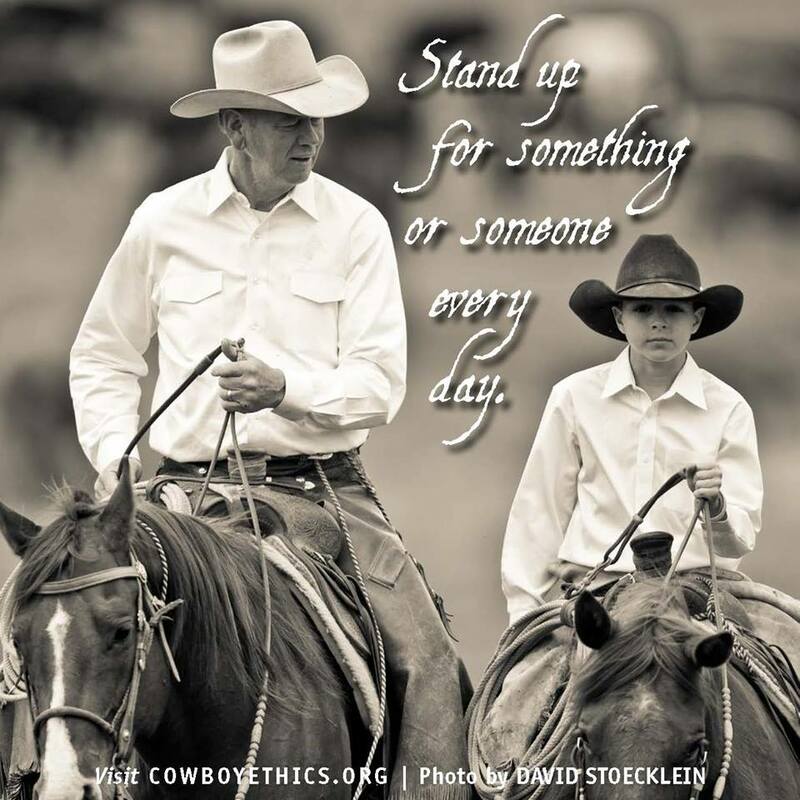 Today I shared a photo from Cowboy Ethics FaceBook page that struck a cord with me and I wrote something that is true to what I believe. What I said had a couple meanings, one was that I often try to stand up and help out those less fortunate whenever I see someone in need. Last year I was in the checkout line at the Wal-Mart store that I shop at and an elderly African American woman was in front of me and had a few items in her cart for Thanksgiving dinner. Now I could not tell if she was fixing dinner for herself or if she had someone visiting that she was going to cook for, but she was checking the prices for each item she put on the belt. She got down to three items that she said she could not afford and so I told the checker to ring it up and I would pay for it. She pleaded with me and said, “No, it is ok, I really don’t need those.” But I replied to her that if she had it in her cart, that she evidently had a use for them. Well, she was beside herself thanking me and I gave her a big hug and told her that I hoped she had a very happy Thanksgiving and we went on our way. I have not seen her since, but I can tell you, it made me feel very good to be able to help someone out who had lived a long life and didn’t need to walk away from a checkout without things she needed. Now, let me be clear, I am not looking for people to say how good a person I am, or how it was so nice I did that because, in my mind, this is something all of us should do every time we see someone who might not have enough money to enjoy a holiday, or even eat something that they want to eat on a daily bases. We all should strive to help out someone in need without anyone asking us to help. It is how I was brought up and it is how I live my life. The other part of what I wrote, ” One thing in my life I regret is not actually going with my heart, instead I went with the money and spent the rest of my life working to get back to my heart!,” was because I was one of the people who left my home to travel and work and look for the big deal in life that would make me rich. Did I find it? Well, I am living, I have a roof over my head, food on my table, but am I happy where I am? No! While many have moved on from our childhood homes, I have pined for the day that I can return, with all I have learned and experienced, to help out the folks where I grew up. Now I am not saying that I want to “Bring sunlight to the wilderness” as some have stated. They are only in it because they want more money, prestige and power. What I would love to do, is be closer to family, lifelong friends and be able to help out a community that raised me. I don’t want to bring huge manufacturing back, I don’t want to bring back ideas from another part of the country. What I would love to do is bring back a simple life and possibly help some folks along the way. I have thought of many ideas, talked to some folks and have even put some ideas out there that if they work, could help out. 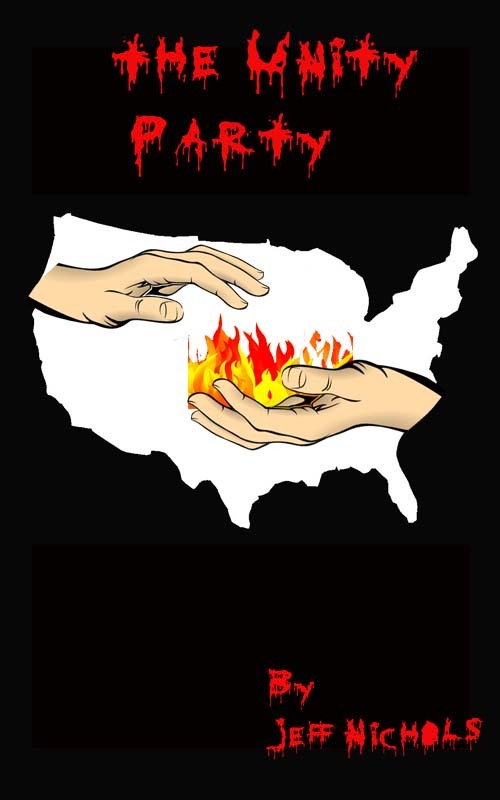 Right now, of course I am still planning, and trying to think of ways I can help, because without that little area in West Virginia, I would not be the man I am today and if I can help give back just a little bit of what I was given when I was growing up, it would only amount to a small fraction. Thank you Sistersville, for helping to make me who I am. I guess what I am saying is, most of us leave with our eyes on making it big, on making money, owning land and that is fine, but I think that if we thought just for a minute as to where we grew up and some of the struggles people face, giving back is not such a bad idea. As a matter of fact, giving back every day to those less fortunate does more than any of us could imagine. I always think of one person that I grew up with who did more for others than anyone I know. Kevin Ritchey, was that man. We grew up together, played sports together and when we graduated high school, Kevin decided that he wanted to help others. He joined the volunteer fire department and was also a member of the EMT. Once he had a few years in, he decided to move to another community where he worked as an EMT and one icy night while on a call, he gave the ultimate sacrifice when he died trying to help others. Kevin will always be a hero to me, always be someone I would strive to be like. He has been missed, but what he did for others will live on. Remember your heart, where you came from and where you go. There are always people in your past that got you to where you are. As I sit here 24 hours without power I have to think how it was in the days before electronics. I woke up this morning at 7am and didn’t realize what time it was. As I am sitting here now, it is 8pm and I am felling like I need to go to bed. It is dark in here, except for the light of the fireplace and very quiet. I can’t help but think of days before television, computers and things that keep me up late. I also have to think of what families did in those days, without tv and video games. Kids had to entertain themselves, maybe reading or playing some sort of board game, or imagine this, family time! Now I know I am not roughing it, I have a gas fireplace, I have a propane cooking stove, running water and this iPhone to keep me “in touch.” But it seems to me that this is just what we as people need once in a while. We need jolted Back to a simpler time, a time when families talk, a time when it got dark, it was bed time and when daylight came it was time to get up. Sometimes I wonder if technology has killed the way you should live. Yeah, I am writing this on my iPhone, and yes I am bored silly, but really I think if families did this once a month, maybe everyone would appreciate what we have just a little more. Rednecks Vs City folk: Why I am Proud to be a Redneck! Yes folks, I am a redneck from West Virginia and proud of it. I have never claimed to be anything else. In the past 31 years since I graduated high school and moved around the country, my status as a redneck has stayed with me. Now, before I go any further, let me explain to those who think that the term Redneck is a bad word, it is not. It actually came to be known because of the coal wars (1920 – 1921) in southern West Virginia, when the coal companies were forcing the miners to work in unsafe conditions and the coal miners wanted to join the union. A fight broke out, and several company thugs were killed in Matewan, WV. Then the union coal miners from northern West Virginia marched south to help the miners against the coal companies. The northern coal miners wore red bandanas so that they would be recognized as the good guys and thus, the term Redneck was coined. Yes, I know there are a thousand and one other thoughts as to where the term was coined, but I am pretty sure that this is the one that is the true meaning of the word! Now that we know where the term Redneck came from, we can discuss the differences between them and city folk. We rednecks are tough, resilient and resourceful! We all like to laugh at someone who puts a metal watering trough above a fire and then uses it for a hot tub, but really, how many city folk would think to do that? Instead of spending $4,000 to buy a heated tub, the redneck used what he had and it worked just fine (maybe after a few comedy of errors). The point is, Rednecks are not dumb people. They know what they have and they solve problems using what they have. Now, I recently got into a conversation that was started from the Duck Commander’s suspension being lifted (I won’t get into the whole A&E thing) and one person who was clearly from the city (when I use city, I am talking about NYC size, not small town) and he was so appalled by all the redneck reality shows on TV now and how the world would be better off without rednecks. That is where I entered into the debate. I explained to all who read that if ever something happened to our infrastructure, electric grid, electronics etc… that those people would be complaining about not having any food, TV, or any modern convenience that they enjoy now and that many who live in the city would perish! Well, I set off a firestorm with that comment! Oh yeah – I forgot all about Doomsday Preppers (mostly just paranoid ignorant rednecks too). You don’t fool me. Most people on welfare, sucking off the teat of the government, are white – and almost all of those who aren’t black or Hispanic are white trash rednecks or southern hillbillies. The “lazy ignorant Southerner” label is more than just a stereotype – for many it’s a fact. Many blame it on ‘the humidity’. As transplanted yankee living in the South, I realize that could very well be. Well, maybe I was a little harsh, but such is life and if you want to survive, you learn how to take care of yourself. I have no problem in saying that if anything ever happened, I would still be fat and happy as I am right now. City folk, not so much. If nothing else, it will be interesting to see how things go! 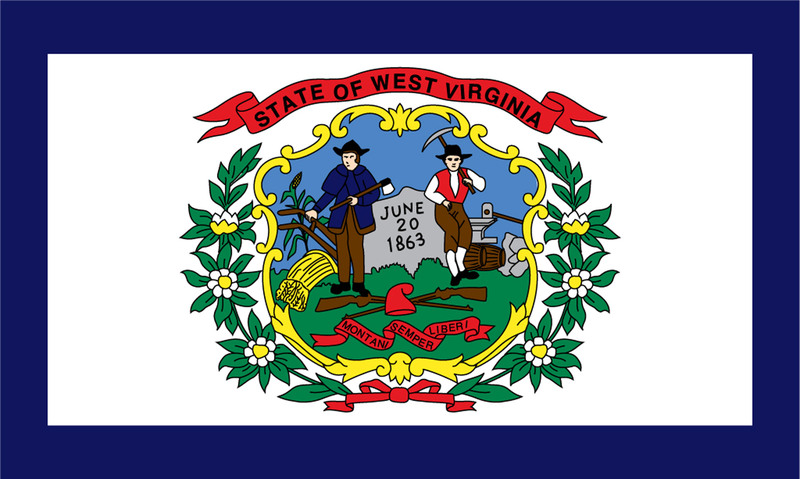 So, with that being said, I am very proud to be a Redneck from West Virginia!